Companies lose their way. Missions change. Customers evolve. Drifting away from an automotive brand's heritage can happen so gradually that it can take years before public perception catches up with what's actually sitting on the showroom floor. This is especially true in the luxury world, where marketing as much as the actual metal keeps new buyers flowing through Audi, BMW, and Mercedes-Benz dealership doors. As long as the cash keeps coming in, it's rare for a manufacturer to correct the course too abruptly, preferring instead to let the winds of commerce steer the ship. It must be noted, however, that this hands-off-the-tiller approach leaves the door wide open for a hungrier - and more focused - rival to swoop in and deliver what was once promised, but can no longer be found under your own roof. 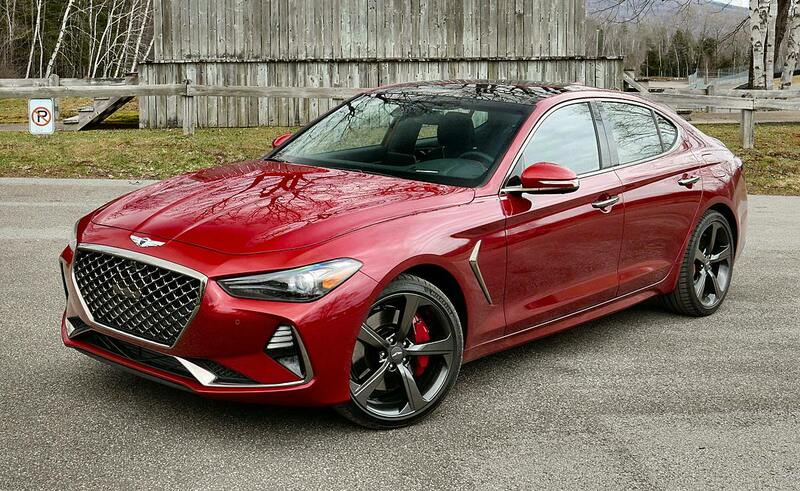 So it goes with the 2019 Genesis G70, a sport sedan that manages to combine premium comfort and persuasive performance in a balance that hasn't been seen from the triumvirate of German marques that dominate the entry-level luxury sedan segment in well over a decade. That the latest challenger to Teutonic supremacy hails from Korea should be no surprise given the rising tide of quality, engineering prowess, and willingness to spend huge amounts of money on the part of parent company Hyundai. That the G70 succeeds so expertly where its erstwhile competitors have failed - or rather, ceased to try - is much more of a shock.